Candidate of technical Sciences, associate Professor Department of BMaT. Leading teacher of the course “technology of construction production”. Head of master’s theses. Author of 60 scientific and educational works, including 9 building codes, 5 manuals.Advisor to the rector. 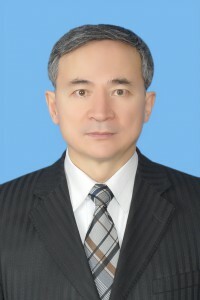 Member of NCC at mit of RK, member of the Rums in the specialty “Construction”, member of the Kazakhstan geotechnical Association.Expert in expert works and engineering services in the field of technical inspection.Awarded the badge “for merits in the development of science of the Republic of Kazakhstan”(2009).